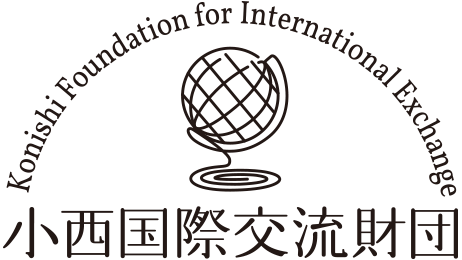 The Konishi Foundation for International Exchange, since its inception in November 1983, has been actively committed to the cultural exchange between Japan and France. In particular in 1984, based on the proposals by the High Level Reflection Group for the Future of Franco-Japanese Relations (a.k.a. The Committee of the Wise), the foundation provided assistance for the publication of French translated editions of selected stories and poems in modern Japanese literature, published by Gallimard. After this in 1987, the foundation organized a series of events including a book launch symposium in Paris, France, as well as an essay contest for young French people based on the theme of "Reading Selected Stories and Poems in Modern Japanese Literature." The late Yasushi Inoue, former representative of the Publication Committee for the Translated French Language Edition of these "Selected Stories and Poems in Modern Japanese Literature" and former Director of the Konishi Foundation, dedicated his life to support the quiet efforts of Franco-Japanese translators. To respect his dying wish, the Japanese-French Translated Literature Prize] was established in 1993, as part of the commemoration of the 10th anniversary of the Konishi Foundation for International Exchange, designed to honor outstanding, published translated books from French to Japanese, and vice versa. Prizes began to be awarded from the following year and the contest was held every year after that, but then it came to an end in 2003, on its 10th anniversary. However, at the 10th award ceremony held in France, the French Ambassador at the time, made a strong request for this award to be continued based on the great importance of its role in the promotion of Franco-Japanese cultural exchange. In addition, this award had been greatly received in France, causing many interested parties in the country to express similar opinions for the reopening of the contest. Following these efforts, the Japanese-French Translated Literature Prize] was reinstated from 2006. As of 2013, the Japanese-French Translated Literature Prize] welcomed its 20th anniversary. The art of translating is a delicate task that requires the translator to remain as faithful as possible to the original work; it is also an extremely creative process that aims to use a different language to breathe a new life into a piece of literature. Translators play a key role in creating a bridge that uses language as a tool to introduce foreign cultures to different worlds governed by different languages. We firmly believe that putting translators in the limelight and honoring them for their dedication will make a great contribution to international exchange. We pray from the bottom of our hearts that through the Japanese-French Translated Literature Prize], we can encourage translators from both Japan and France, supporting all their hard work of many years dedicated to translations.